How much is Aida Turturro Worth? Aida Turturro net worth: Aida Turturro is an American actress who has a net worth of $5 million dollars. 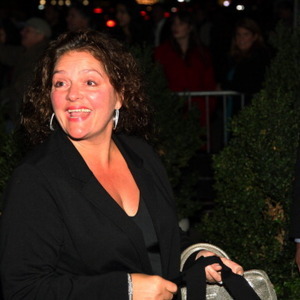 Aida Turturro was born in Brooklyn, New York and went on to graduate from the State University of New York – New Paltz with a degree in Theatre, in the mid-80s. She began her professional on-camera career in 1989 with a role in the film, "True Love". Since then, she has gone back and forth between film and television work. Some of her film credits include, "What About Bob? ", "Mac", "Jersey Girl", "Life with Mikey", "The Saint of Fort Washington", "Denise Calls Up", "Money Train", "Sleepers", "Fools Paradise", "Fallen", "Celebrity", "Deep Blue Sea", and "Play It to the Bone". She has also appeared in guest starring and co-starring roles on such television shows as, "The Wright Verdicts", "Law & Order", "The Practice", "ER", "Medium", "Curb Your Enthusiasm", and "Nurse Jackie". She is most widely recognized for her work as Janice Soprano on "The Sopranos".